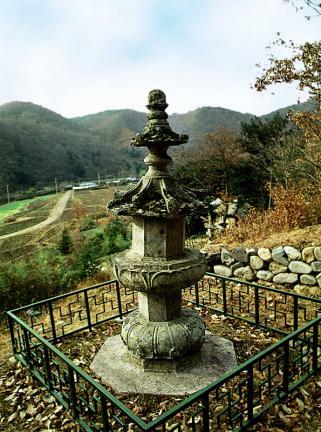 보림사는 통일신라시대 선종 9산 중 가장 먼저 만들어진 가지산파의 중심사찰로, 헌안왕 4년(860)에 왕의 권유를 받아 체징이 창건하였다. 동부도는 보림사 동쪽 숲 속에 있는 여러 승탑 중 가장 뛰어난 작품으로 손꼽힌다. 승려의 사리를 두는 탑신(塔身)을 중심으로 아래에는 3단의 기단(基壇)을 두고 위로는 머리장식을 얹었는데, 각 부분이 8각으로 깍여져 있다. 3단으로 된 기단의 맨아랫단과 맨윗단에는 8잎의 연꽃잎을 둘러 새기고 각 귀퉁이마다 꽃장식을 얹은 모습으로, 가운데는 8각의 기둥을 낮게 두었다. 탑신은 한 면에만 자물쇠가 달린 문짝 모양을 새기고, 지붕돌은 다른 부분에 비해 좁고 낮은 편이다. 꼭대기의 머리장식은 중간에 둥근 기둥을 세우고, 위아래를 나누어 장식하였는데, 그 완전함만큼이나 세심한 정성을 기울인 흔적이 엿보인다. 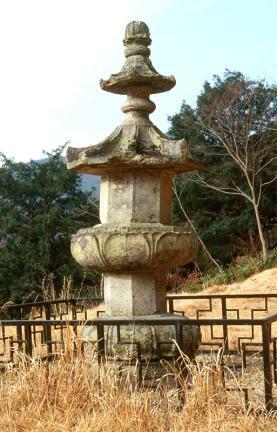 전체적으로 탑신의 위부분이 높게 이루어진 반면, 기단의 가운데받침돌이 작고 낮아 안정감이 떨어진다. 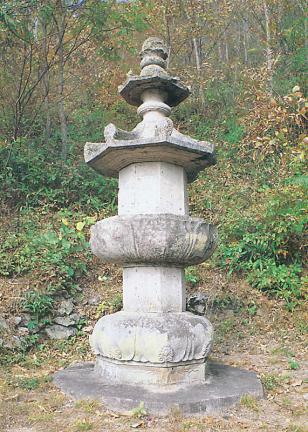 잘 정돈된 구조가 돋보이며 머리장식이 온전하게 남아있는 것도 이 승탑의 소중함을 더하고 있다. 통일신라 후기에 만들어졌으면서도 고려 전기의 특징을 보여주는 작품으로, 승탑 연구에 귀중한 자료가 되고 있다. 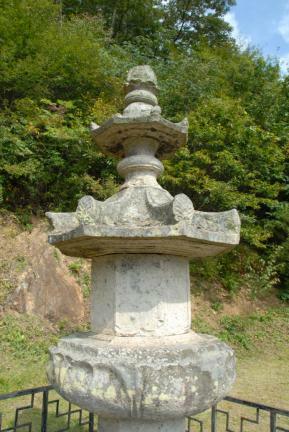 The East Stupa of Borinsa Temple is considered the best of the stupas located in the eastern forest of Borimsa Temple, which was built as the main temple of the Gajisan Order (the first of the nine major Orders of Zen Buddhism to be established in Korea), founded by Chejing at the request of King Heonan in 860 (the 4th year of the latter’s reign). 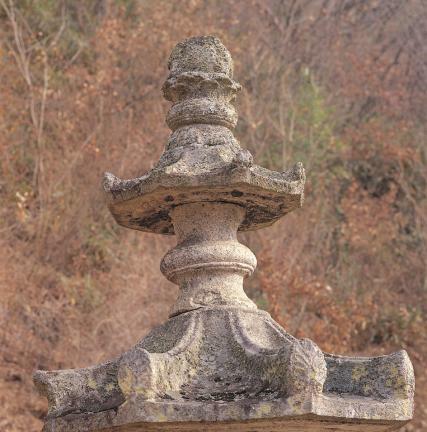 The stupa consists of three octagonal parts including the three-layer stylobate, the main body enshrining a sarira, and the finial. 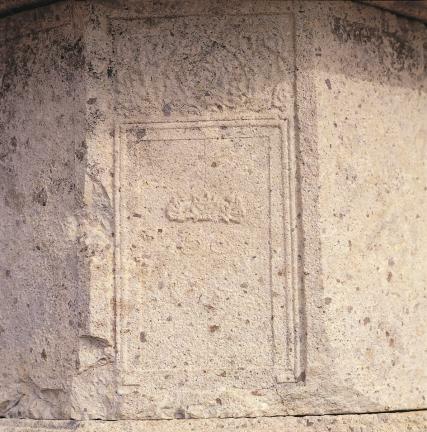 The stylobate is composed of three tiers: the bottom and top tiers are engraved with a lotus design with eight petals, and each corner of those tiers is carved with a flower design. 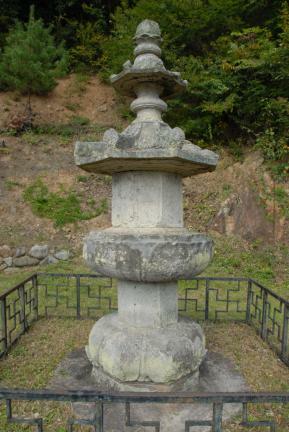 The middle tier is an octagonal pillar. 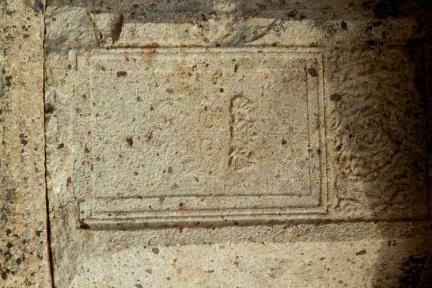 One surface of the main body of the stupa is engraved with an old Korean-style door and a lock. 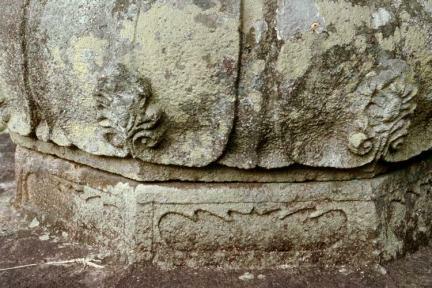 The roof stone is narrow and low compared with the other parts. 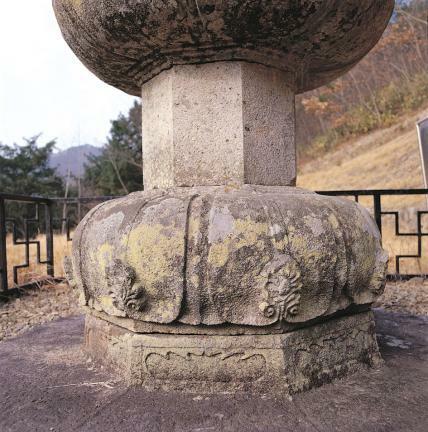 A little round pillar is placed on the middle part of the finial, and the top and bottom areas are decorated separately, exhibiting meticulous craftsmanship. 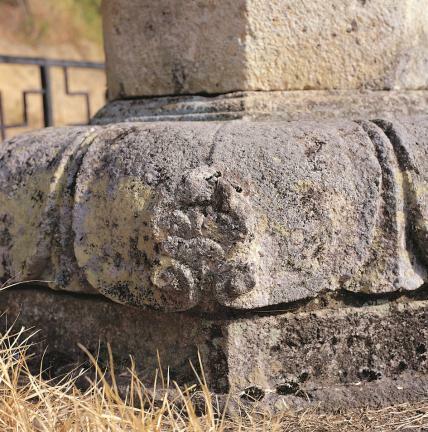 Although, on the whole, the upper part of the main body of the stupa is high, the middle stone of the stylobate is small and low, giving the stupa an unstable appearance. 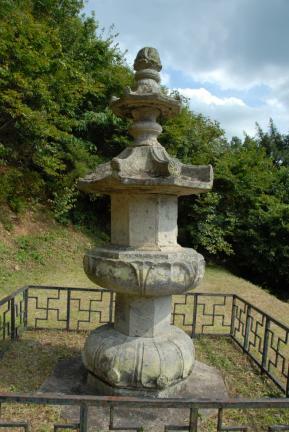 Nevertheless, it is a valuable relic – all the more so as its well-made, undamaged finial is fully intact. 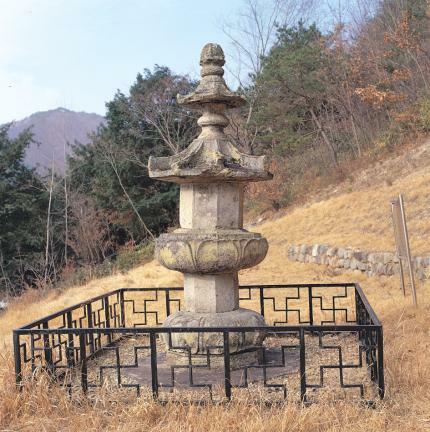 Although it was erected during the late Unified Silla Period, it exhibits the characteristic style of the early Goryeo Dynasty, making the stupa an important material for the study of Korean stupas.